Christian Liberty Press, established in 1984, is the publishing arm of the nationally recognized Christian Liberty Academy and full service home school program—Christian Liberty Academy School System. Christian Liberty Press is dedicated to finding, evaluating, and preparing books and educational materials that are based in the Word of God. We are rooted in the Reformed tradition, as expressed in the Westminster Confession of Faith. The mission of Christian Liberty Press is to help students renew their minds in every area of life with Christ-centered materials. Our catalog offers curriculum for students in preschool through high school. We also offer readers, novels, and biographies for children and adults. As a ministry of the Church of Christian Liberty located in Arlington Heights, Illinois, we are in touch with the needs of Christian families, schools, and bookstores. We are confident that our books and materials will meet the needs of your clientele. We look forward to helping you provide your customers with Christ-centered products. A school-church customer is one who purchases products for students, classes, clients, etc., rather than for resale. For details on purchasing supplies for your school or church and as well as our policies, please download our School-Church Policies. 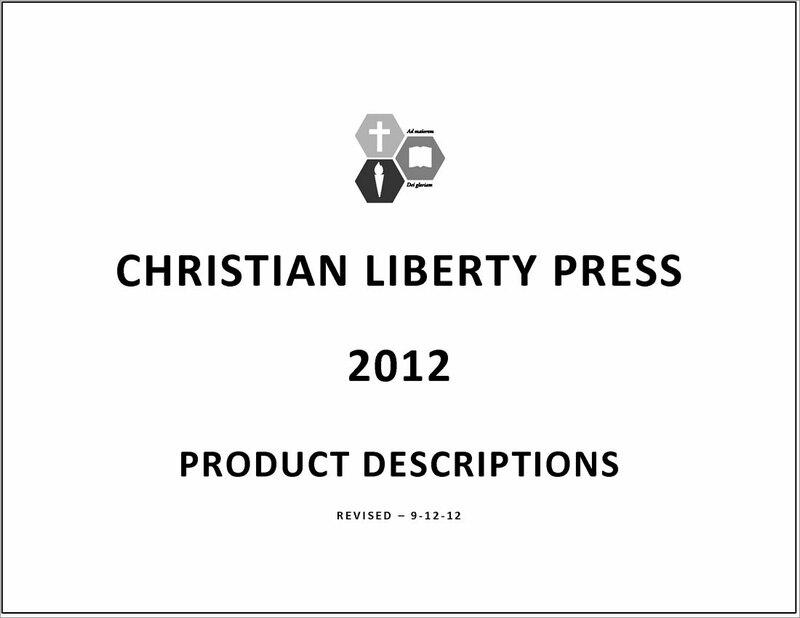 In addition to school-church customers, Christian Liberty Press offers specialized discounts to distributors (customers who purchase products for resale rather than for students, classes, clients, etc.) For policies specific to distributor customers, see our Distributors page. It should be noted that both types of customer accounts can be set up as either prepaid or billing accounts. The only difference between the two is the discount scale. Companies, groups, or individuals that cannot meet the requirements of either customer type are considered retail customers and are only eligible for the discounts found on our website or in our Educational Catalog.